Oren's Money Saver: Serve Reloads at Family Dollar - $1,800 in 3 Minutes over 4 Swipes with 2 Cards! Serve Reloads at Family Dollar - $1,800 in 3 Minutes over 4 Swipes with 2 Cards! Serve is a great prepaid product available from American Express. The benefits of Serve include $1,000 of online credit card loads with American Express cards, worth $20 a month with Fidelity American Express ($1,500 of loads if you are grandfathered into SoftServe). In addition, you can load Serve via Debit Cards (AKA Visa Gift Cards) at Walmart and Family Dollar with a limit of $2,500 a day and $5,000 a month. 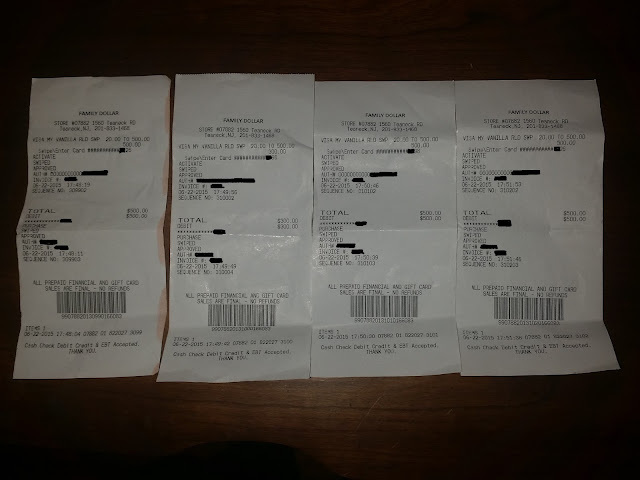 I recently showed that even though many assume that only $500 can be loaded per store per day (not per person), that is not true. I went back later that week to test the limits a little more just to see what worked. Here is one experiment that worked marvelously. I loaded $800 on my second card before I went back to my first card. Once I did that, I was able to load $500 onto the first card for a total of $1,000 on the first card and $800 on the second card. Can you keep going? I don't know, I ran out of Visa Gift Cards to try and haven't reloaded since. Well, I don't actually know what the loading rules are and I think that the Family Dollar employees don't really know either. 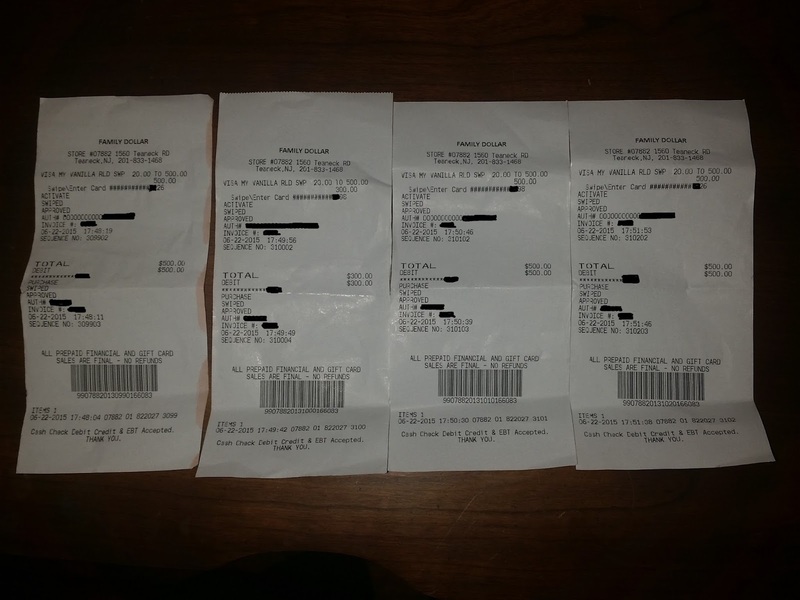 One reader claimed that he is able to load $800 on one card with 4 $200 swipes in a row, then he moves on to the next card and does another $800. The claim of his store manager is that everything is ok until he tries to load more than $999 on one card. Bottom line - load limits are not clear, but they are a lot higher than people think. Try mixing up your cards in different orders and different amounts, see what works, what doesn't and report back! Anyone else have any personal experience of loading more than $500? Post in the comments below.